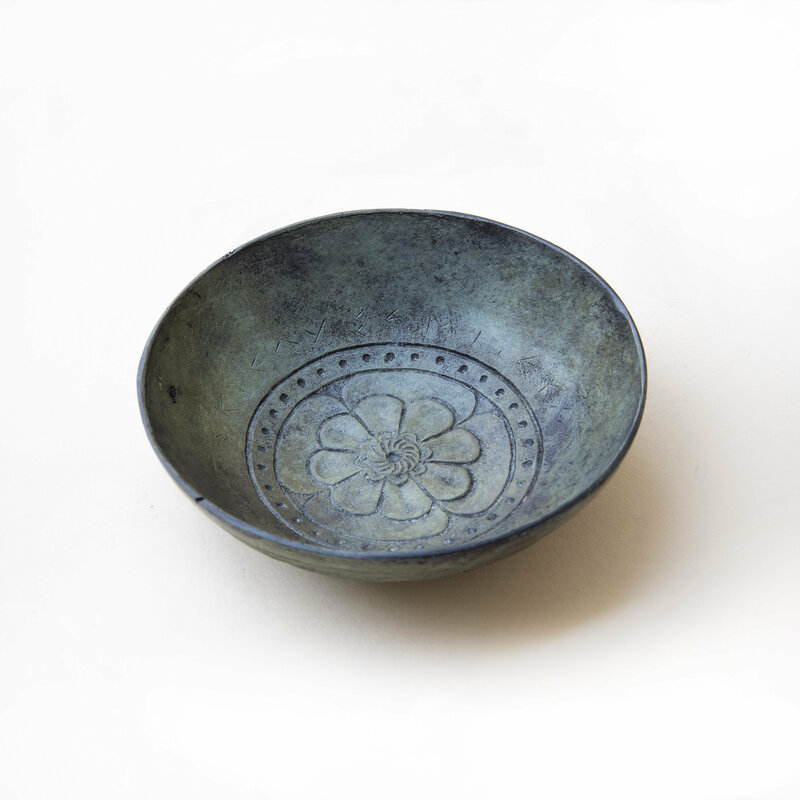 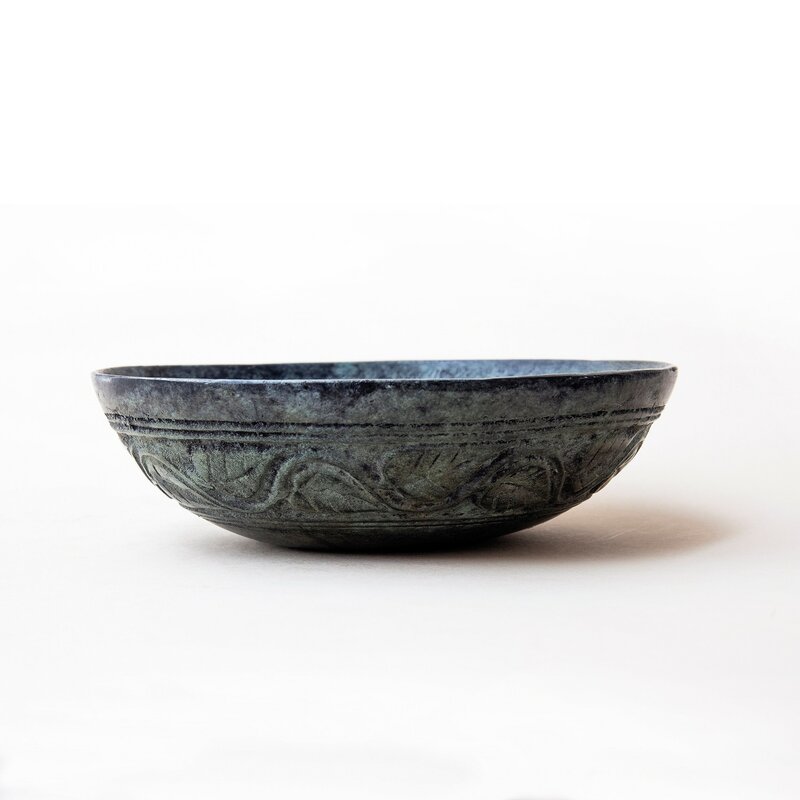 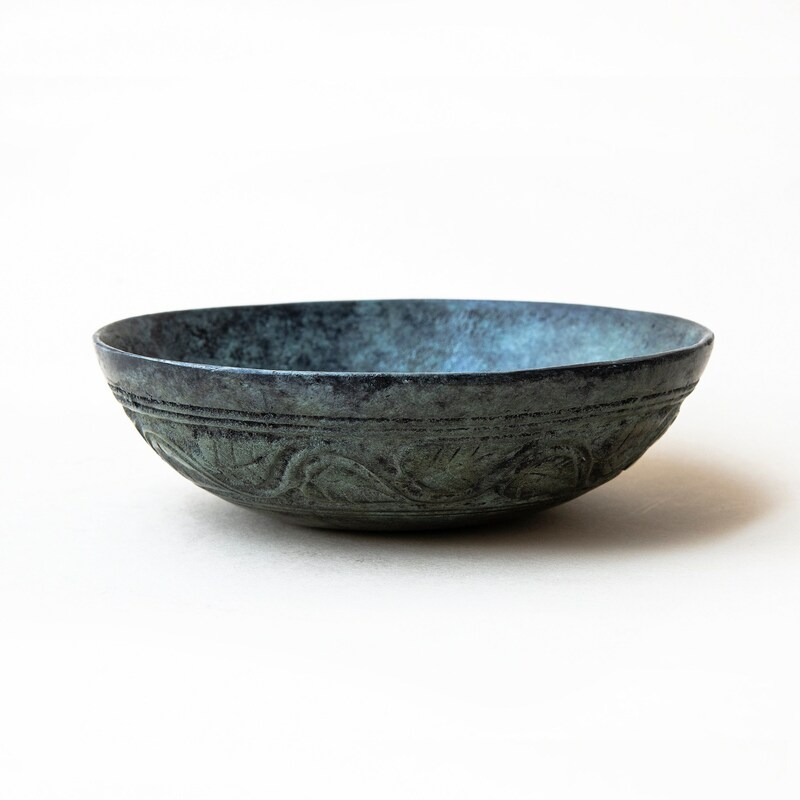 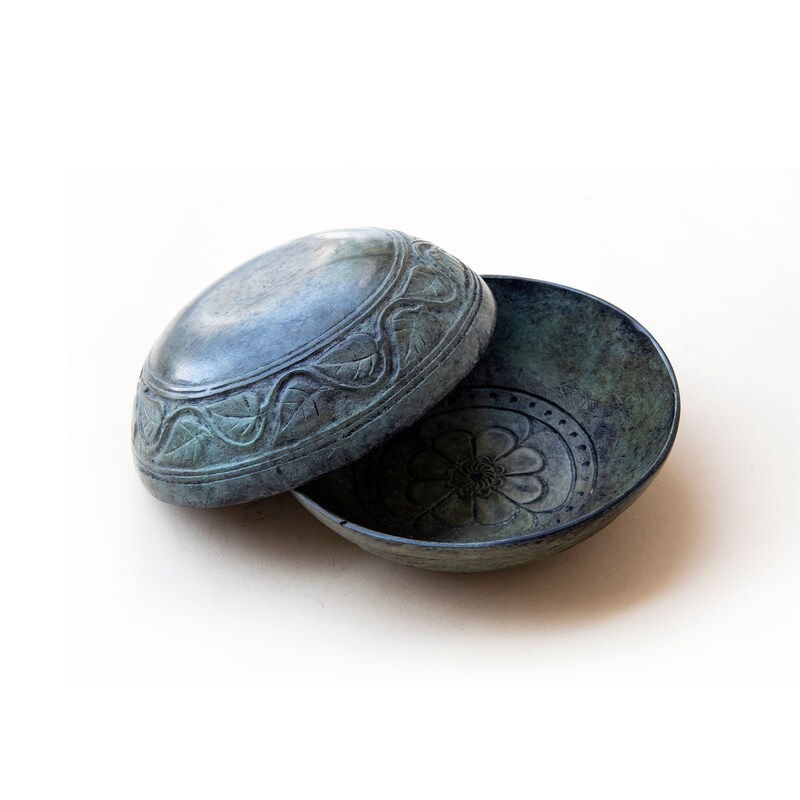 The bowl is cast in solid bronze with a verdigris patina and floral decoration. 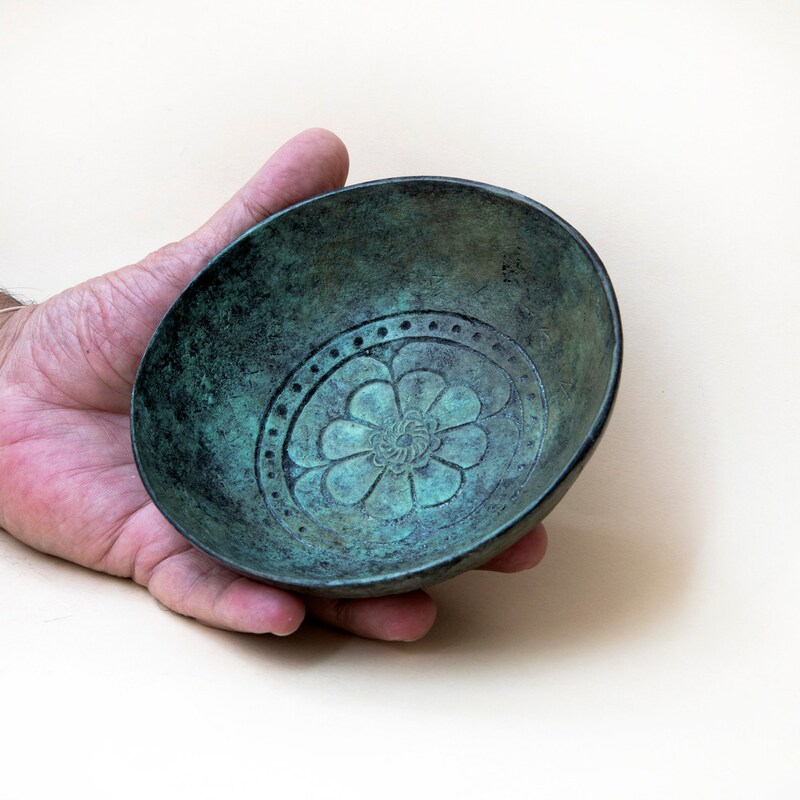 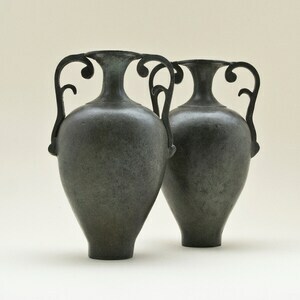 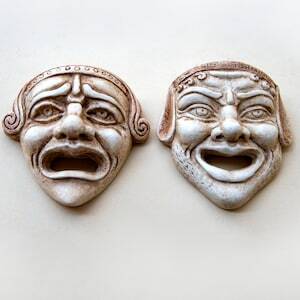 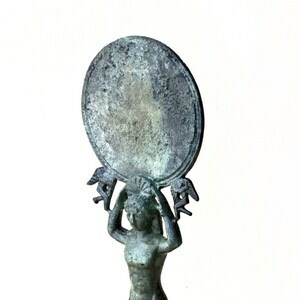 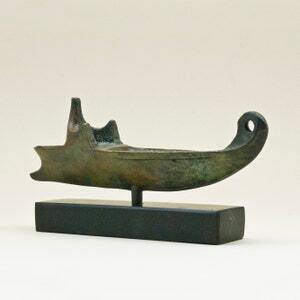 Such bowls and shallow dishes were used in everyday living, or as a libation dish for pouring offerings to the gods. 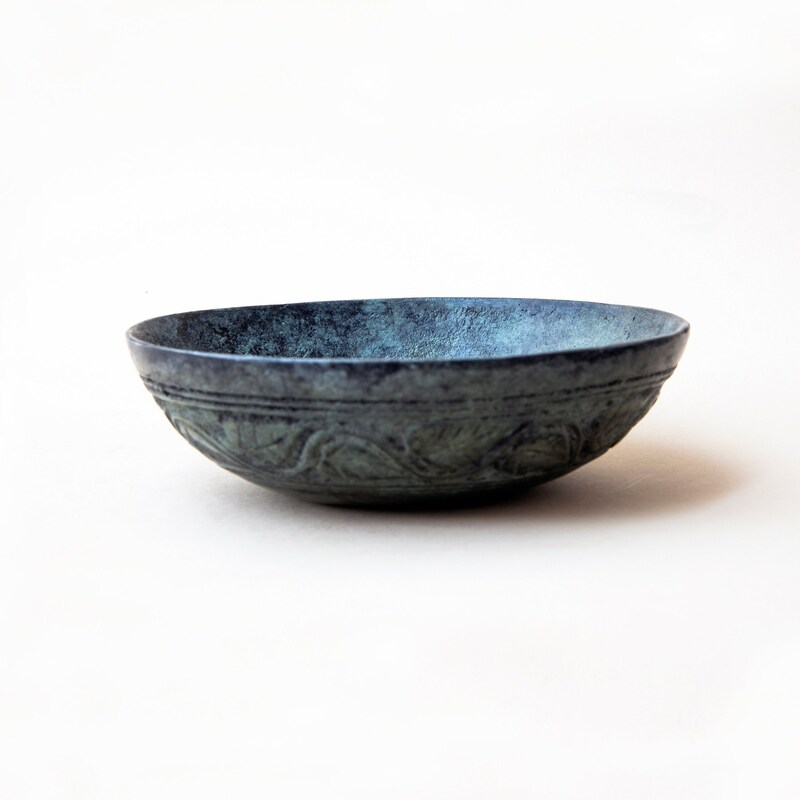 Bowl's height: 1.6 inches / 4 cm approx.